More times than not, those who treat our physiological or even neurological needs are not in alignment with our belief construct. Who says that science and faith can’t be collaborative in accomplishing wholeness? Dr. Leaf loves God and cares about people. Her new book, The Perfect You, is a blueprint for feeling better and living better. 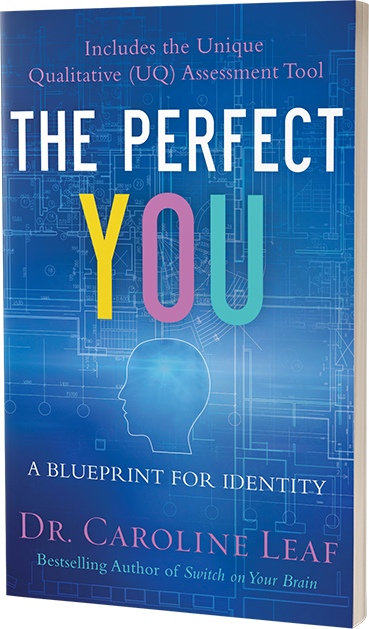 Laurie and I highly recommend this life-changing book, which will help you discover who you are—your Perfect You—and give you a blueprint for pursuing your God-given identity. Dr. Caroline Leaf achieved the near-impossible with her latest book. She delved deep into complex theories of theology, philosophy, and science, then deconstructed these highly abstract concepts and synthesized them into an innovative, creative, and enriching Christian-based book on self-discovery! 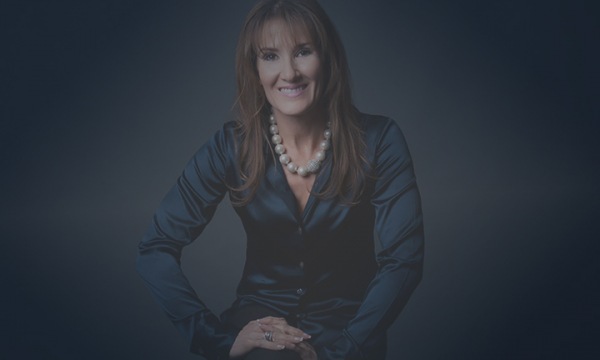 Dr. Caroline Leaf’s new book The Perfect You: A Blueprint for Identity could just as well have been subtitled “Blueprint for Success” or “Blueprint for Peace of Mind.” I wholeheartedly recommend it! The Perfect You, with its application tools, will be a daily recommendation in my integrative neuroscience practice. Its revelatory principles—the culmination of Dr. Leaf’s thirty-plus years in the neurosciences—offer more hope for change and more help for true healthcare (not just disease management) than any other tool I’ve seen. This masterpiece is a must-read for anyone who truly desires to be deeply educated on how our souls are wonderfully and fearfully made by the Creator of the universe. The application of the principles in this work facilitate functioning to our fullest potential, individually and collectively, for his good pleasure and purpose. Pioneers in any field propose ideas that are not accepted at the time. Those ideas are even thought to be ridiculous. However, eventually they are proven right. Dr. Caroline Leaf is such a pioneer in the field of the mind. Dr. Leaf beautifully illuminates the brain, the mind, and how we make choices, then helps us make better ones. Both scientific and spiritual, this book has something for everyone. As an endocrinologist I find Dr. Caroline Leaf’s books very detailed yet very easy to read. I was so excited to read Dr. Leaf’s skillful explanations of discoveries made in the medical, psychological, and quantum physics fields in the last thirty years in this new book. Dr. Leaf has released yet another brilliant piece of work. She masterfully details how our true identity is found when we abandon ourselves to Christ and immerse ourselves in His unrelenting love, thereby unlocking our natural gifts and talents. I love the title of the book “The Perfect You” because it is a bold declaration of who we are and an accurate vision of how God sees us and wants us to see ourselves and to help each other become “The Perfect You”. Once again, Dr. Caroline Leaf is using her expertise, experience, and conviction to bring a life-changing book to the table. We live in a world of increasing complexity when it comes to the foundational truths of life. I am confident The Perfect You will enable you to explore and find the freedom you were created for. A valid perspective on identity is the turning point for a healthy and successful existence. Like a skilled architect, Dr. Leaf has expertly crafted a blueprint to demolish erroneous thinking and rebuild lives with solid foundations that will remain. In her new book, The Perfect You, Dr. Caroline Leaf reveals the science behind how your thoughts shape who you are. Using scientific knowledge and biblical revelation, she effectively ministers God’s truth. We’ve been friends with Dr. Caroline Leaf for many years. The brilliant Dr. Caroline Leaf again challenges the ‘why’ of many things we automatically take on in our thought life. As a friend and one who has benefitted from her ministry, I know this book will be a great blessing to you. Caroline’s book, The Perfect You, is truly a great achievement, both brilliantly written and well documented. Caroline has a way of opening up readers to gather the courage to step into a new dimension of operating in their personality, traits, and God-given gifts and to explore who God really meant them to be on this earth. Have you ever asked ‘Who am I?’ Well, answers to this question and more are in The Perfect You. Dr. Caroline Leaf beautifully explains how God created a unique blueprint for your identity. This book will bring understanding to the way you think and will challenge you to become all you were created to be! In her new book, Dr. Leaf shows you how you can unblock your Perfect You—who you are at your core—and live out your divine blueprint for identity, regardless of what you have been through, are going through, and will go through. This book is a treasury filled with great wisdom and insight that serve as brilliant tools to guide you in the discovery of the ‘Perfect You.’ Dr. Caroline Leaf brings thrilling new scientific discovery and theory to the truth of our God-ordained, individual identity as found in the unchanging truth of God’s Word. Dr. Leaf is one of the world’s foremost experts of the study of the brain. She is a knowledgeable student of the Word of God as well, which brings a unique work in helping us all to understand and follow God’s best for our lives. A must-read. Many scientists are uncomfortable with the reality that our human selves are not easily quantified. Caroline Leaf not only acknowledges this but also embraces the rare, the unique, and the ephemeral contained within us, understanding that it is these elements that define our humanity as well as our divinity. Dr. Caroline has an amazing ability to take complicated concepts and make them easily digestible. Her book The Perfect You: A Blueprint for Identity will realign you to a healthy and holistic life. Wow, another masterpiece by Dr. Caroline Leaf! She weaves the scientific with the practical in an exceptional way. You’ll discover how to grow in becoming the you God uniquely made you to be. Reading The Perfect You is like connecting the dots between your potential, your passion, and your purpose! As a cheerleader of dreams, I applaud Dr. Leaf for this manual—a wake-up call to get honest with yourself, be intentional in your choices, and start making destiny decisions! Caroline has written a book full of good news for you! She will introduce you to the person you always wanted to be: the Perfect You! A person everybody loves, trusts, and wants to be friends with. In your hands is the blueprint for your best future. The Perfect You is a must-read for anyone who has ever second-guessed their identity, value, or worth as a person. Dr. Caroline Leaf so brilliantly and simply helps us see we can make good choices that will set us on our perfect destination of love and purpose that God has chosen for each of us. The only way we can correctly comprehend our unique design is from the perspective of our Designer. In this latest book, Dr. Caroline offers both the information and inspiration to help you assess and actuate the Divine Blueprint of His purpose for you! I am always challenged and encouraged by Dr. Caroline Leaf’s life and teaching. She speaks with the authority of a scientist and the heart of a pastor. It’s rare that a speaker can touch the heart of each generation in such a profound way. I know that lives, hearts, and futures will be greatly impacted through her new book The Perfect You. This is a must read for anyone interested in learning how the brain works and how our own thoughts and choices matter. Dr. Leaf delivers the good news about our God-given identity in this new book. I recommend you to take the journey of healing and discover - "Your Perfect You". This is a great book. I enjoyed the precise way the brain data is presented. It has a long survey you can do to help you become the "perfect" you which really means being who God created and designed you to be. This is a book and workbook rolled into one. In this book you will determine how you uniquely and specifically think, feel and choose. We are all different. Unique. Designer babes! This book is a great reference to keep handy. An excellent book!! Getting to know the REAL me, the me God created me to be & more about how my mind &brain are supposed to function has been an amazing journey. This book draws you in to who you really are & paired with The Bible it also causes you to see things differently....see yourself & others the way God sees us all...VICTORIOUS! !